Dedicated to my lifelong friend, teacher of PhD Level Aerodynamics, collaborator, Dr. Andy Bauer | Book TOC | Bio | Insight | Privacy | Contact | . with Half Teardrop Radial Loading. The book cover shows it all. Click to see. Click picture to see full size. Perfect Half Teardrop Radial Blade Loading! 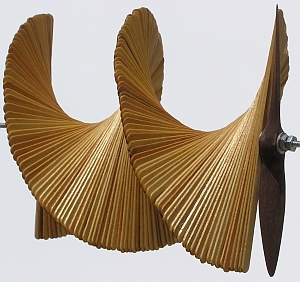 Betz makes it the perfect propeller equivalent of Prandtl's perfect, elliptical Spitfire wing. Goldstein-Theodorsen 3D math makes it exact. Perfect Tapered SHAPE, Pitch, Twist creates Perfect Half Teardrop Radial Blade Loading → Perfect Props. Why Tapered Tips? A Rotating Wing Tries Violently to be a Tip Thrust Loss, Tip Vortex Loss Disaster. Any Wing wants max loading Inboard, Zero at the Tip, Zero tip Lift, or Thrust, to Minimize Tip Vortex Loss. Basic! A Rotating Wing: Tip Dynamic Pressure, q, proportional to V2, is a Disaster of Lost Thrust into a Violent Tip Vortex Loss! Simply, Tapered Tips Counteract the Disaster, Minimize Energy Loss, have Least Torque Demand, get Max Thrust! Easy! 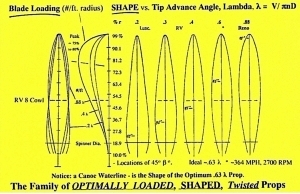 Simply, The Prop with the Least Loss, Least Torque Demand, Creates the Most Thrust – Tapered Tips Win! Norris's 8th law. It's rare genius: Classic Betz exact logic; essentially exact Goldstein-Theodorsen math that teaches us how; Jack Norris's insight. It's not just theory and math. It works! A group of RV Pilots just placed an order for 74 Whirlwind 200 RV props, the first exact prop. They get it. The First Exactly Correct, All 6 Way Optimized Perfect Prop, in the History of Flight! 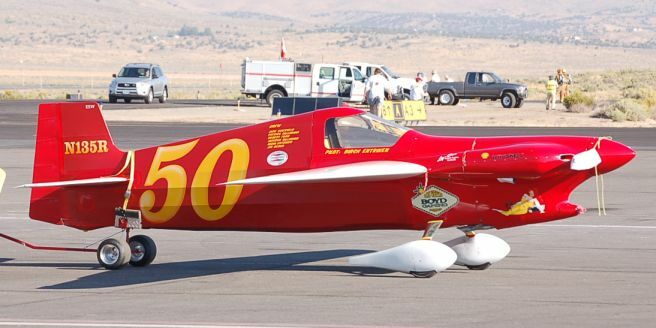 At Reno, in the Formula 1 Gold Race, 14 September 2008, a Cassutt with an extra high pitch race prop left everyone in the dust in the takeoff race to the first pylon. It won second, beating better planes, losing only to the far superior airplane "Endeavor". Race pilots bought a lot of these books at Reno that day. Who should have this book? If you are a builder or pilot of an experimental aircraft, this is the book for you. If you are an Aeronautical Engineering Pro, or student you must read this book. If you lead an aeronautical engineering school or library you should have this book on your shelves. If you just want to understand propellers, it has the easy Introduction, a Pro’s Insight! If you are a propeller designer or manufacturer this teaches what we never understood! If you fly competition model airplanes this teaches perfect props. If you manufacture propeller airplanes you will find real value in this book. If you buy or specify propeller airplanes for business you will find real value in this book. It's actually two books in one, back to back. BGT Radial Blade Loading is Perfect. A rotating wing is a thrust loss, tip vortex loss Disaster. It's the core problem that was never really, correctly grasped for 138 years, 1865 to the Wright’s 100th anniversary. It's the Central Problem in Propeller Design that understanding the Historic Rare Genius Work teaches us. Pulling in and throwing back air - Newton's laws , hugely more massive flow rates than you realized! An airscrew , teaches why a high pitch prop is most efficient, both less induced loss, and profile drag loss. The classic, precise, optimum, minimum induced loss "BGT" prop’s radial blade loading. The ideal family of optimally SHAPED, loaded, pitched, twisted, all 6 way optimized props, minimum Induced, minimum area, precisely placed; thus minimum drag, minimum torque demand, minimum H.P. demand; thus MAX THRUST, MAX efficiency! Simply Flying the IAS, Indicated Airspeed that Maximizes IAS vs. Drag , gets you 31.6% more Speed for only 15% more Drag than the Absolute Minimum. But then, Climbing to the Max Possible Altitude holding that IAS, Finally Wide Open, Lean, (never Lean, Low), your Plane and Engine are Perfectly, Optimally Matched, Power Exactly Equal, Matched! If your plane Tops Out at 12,500 feet, TAS/IAS is 1.21. Now, 1.316 x 1.21 = 1.59. You’re flying 59% faster for only 15% more Drag than the Min. 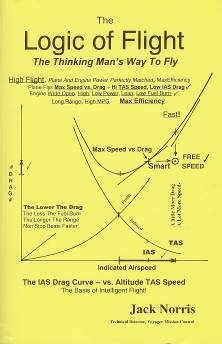 Drag Possible, The Thinking Man’s Way to Fly, The Engine at Low Power, Optimally Leaned, Low Fuel Burn, Optimum TAS, MPG! All Learned on the Cover, The First Few Pages, Optimum Flight, the Flight Book becomes the Simple, Insightful Pilot’s Aero 101 Course that you could normally never find ! 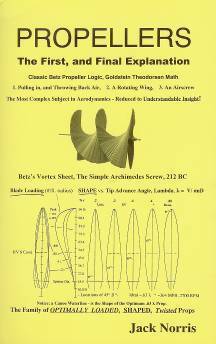 Basic Aero, Engines, all the insight you could never find, everything in One Double Book! It’s the Pro’s Lifetime of Insight, the logic, all purposely “easy enough”, the insightful, understandable, horse sense of what’s happening physically, the kind of insight we can all see through, and understand! ----------------------------------------- Written by The Technical Director, Mission Control, on the Voyager World Flight, it is the insight, and the level of Insight that you could never normally find. 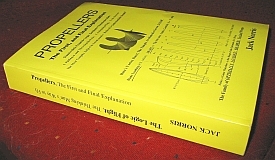 Before this, we never were going to have an explanation of Propellers, and this book nails it all, understandably! It's all in one combined Double Book, that you could normally never find, and at a bargain price, so everyone can have a personal copy, without having to think about it! $14.95 + $3 Postage and Packaging in the U.S.
Be sure your correct mailing address and phone number are on your check or include them in the envelope! Canada and Mexico use $8.95 postage, overseas $12.95. U.S. Dollars check, or cash, please. This site and all materials copyright © 2009 Jack Norris.